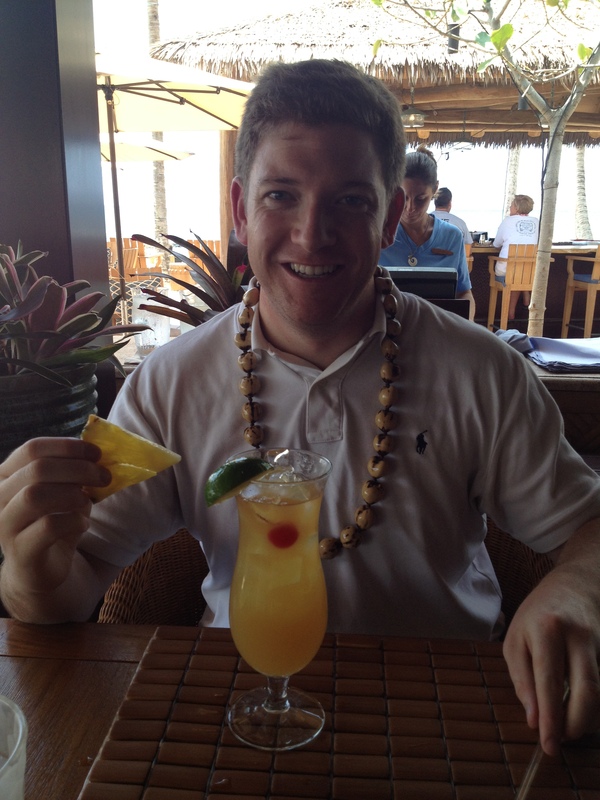 We honeymooned on the big island of Hawaii from October 28th- November 7th . 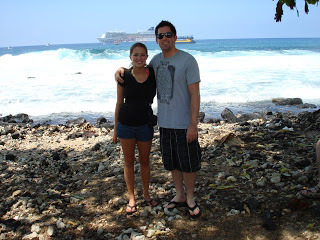 We stayed on the Kohala coast which is about 25 min from Kona International Airport. Originally when we began discussing our honeymoon we were dead set on going to Spain. After telling several of our friends and family about our desire to travel abroad they suggested that we think about the amount of travel time that is involved in going to Europe as well as what level of relaxation we were trying to accomplish on our trip. We knew that we wanted to spend as much quality time together as possible, and that we did in fact only want to relax. We had to be honest with ourselves and know that we are the go-go-go type, and if we went to Europe we would be on our feet all day trying to see every single thing we could. That is when the discussion of Hawaii began. I was initially hesitant and thought maybe Hawaii wasn’t exotic or unique enough for our honeymoon. I expressed these feelings to one of my close friends, and my bridesmaid Melanie, who had gone to Hawaii on her honeymoon. 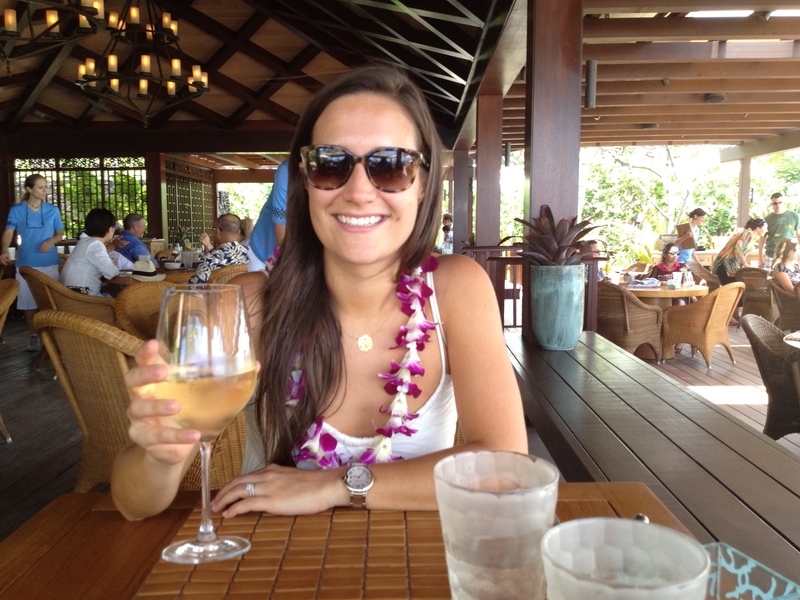 She shared with me that she too was hesitant about Hawaii as a honeymoon destination, but that it wound up being her most favorite vacation of her life. That reassured me, and shortly thereafter David and I booked our trip to Hawaii. We knew that it would be the perfect locale: tropical weather, beautiful landscapes, and a place that would offer us the opportunity to decompress and relax after all of the wedding craziness. Oh my goodness, I do not know how I can possibly choose. I really loved almost everything about our trip, but if I had to choose my favorite aspect it would be the resort where we stayed and the amenities that were offered. 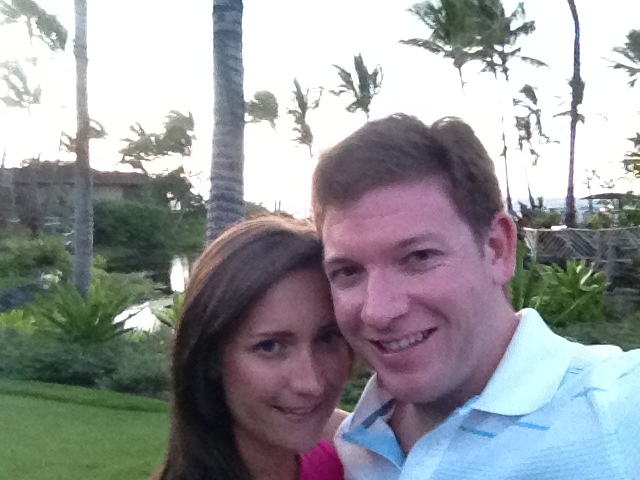 We stayed at the Fairmont Orchid. It is the most gorgeous property I have ever seen. 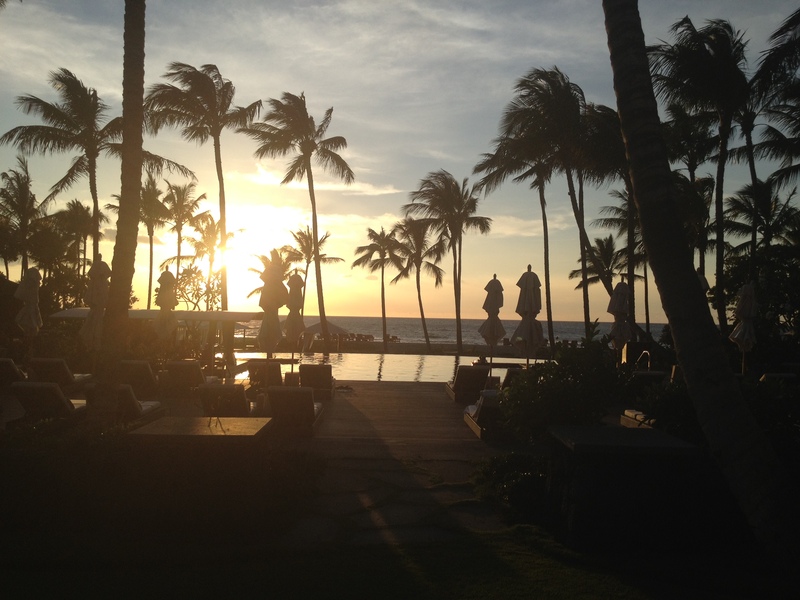 The resort is located in a secluded part of the Kohala Coast which offers a lot of privacy. From the moment you walk into the hotel and are greeted with a Kekui nut Lei you instantly feel like you are in paradise. The lobby opens up to a view of expansive lawns with gorgeous flowers, a beautiful pool, and the ocean. The staff at the Orchid are incredible, everyone is so kind and helpful. The staff really goes out of their way to make sure that you have a perfect trip. The rooms are beautiful, the bed was the most comfortable bed I have ever slept in, turn down service is offered every night, and they leave water bottles on your night stands. The food at the resort is fabulous as well. There is casual dining at Hale Kai Restaurant, fine dining at Brown’s Beach House, amazing breakfast at The Orchid Court, and quick and easy snacks and sandwiches at Brown’s Deli (we loved the staff at the deli and visited them every day). We ate at all of the aforementioned places and were never disappointed. Some of our favorite items were the vegetable quiche at the deli, the burger at HaleKai, and the crab crusted Kompachi at Brown’s. Brown’s is one of the premiere restaurants on the island of Hawaii, and it overlooks the ocean. I recommend making a reservation at sunset, it was magical. The resort offers a plethora of options for daytime activities. We spent so much time at the pool, and rented a cabana a few times which was so awesome! The cost of renting a cabana is minimal and it provides you with a day of comfort, optional shade, and snacks. I would have rented a cabana every day if David would have let me. David loved the activity pass that he purchased for $75.00 which included unlimited rentals of stand up paddle boards, boogie boards, kayaks, rafts, and snorkel gear for our entire stay. I loved using his paddle board and even did some yoga on the water. 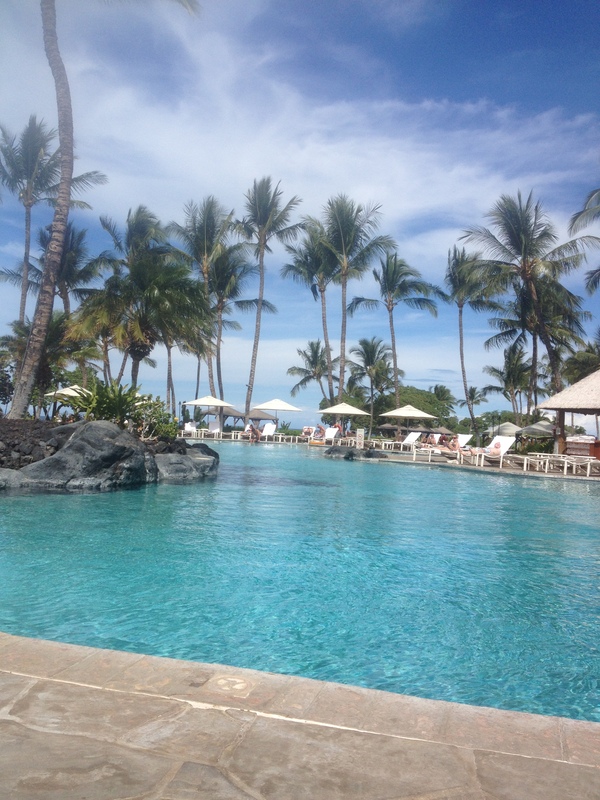 The snorkeling was awesome as the water is very calm on the Kohala Coast, and the resort has a private lagoon. We snorkeled a lot and I wish we would have done it even more. We saw thousands of fish, and several sea turtles every day. Another gem at the Fairmont Orchid is their spa. The Spa Without Walls is an oasis of relaxation. The spa is located outside in a private location of the resort. Your services are performed in private huts, or you can opt to have your service in an oceanfront cabana. We had an ocean front couple’s massage that was gifted to us by David’s parents. The experience of being mere feet from the ocean, at sunset, getting the most fantastic massage I have ever had with the love of my life was just perfect! The spa has wonderful amenities for before and after your service, and we loved enjoying a cup of tea together after our service. 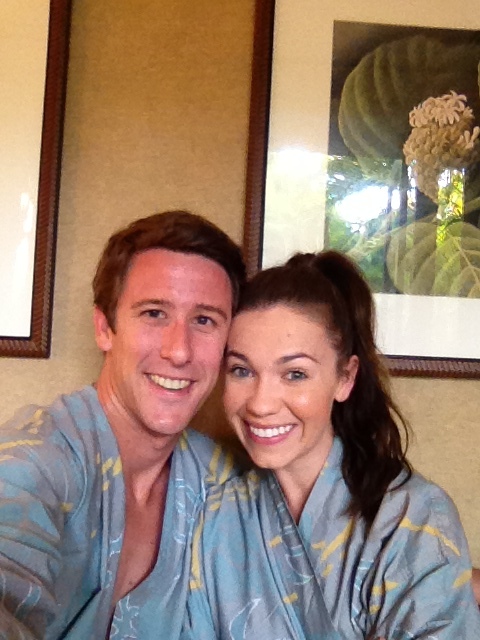 I could really go on for days about how perfect our time at the Fairmont Orchid was. I think any couple traveling to Hawaii must stay at this resort. Steph: The Big Island in Hawaii. S: We knew we wanted something tropical, and we really wrestled with how far away we wanted to travel. We definitely wanted to relax, experience something new, and really treat ourselves, but we knew that the amount of time we could take off would be limited. Knowing that we were taking time off before the wedding, we settled on traveling to somewhere closer to California but still exotic. 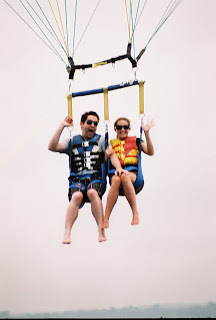 We threw around Mexico, but I (Stephanie) has a bad history of food poisoning and the like when traveling there, so we ruled it out. 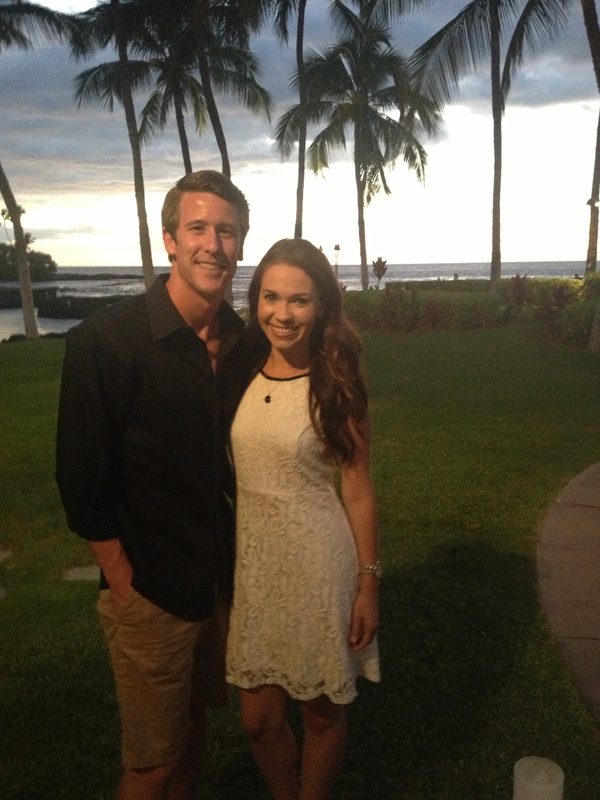 Growing up in North Carolina, Matthew had never been to Hawaii because of the distance, and I (Stephanie) had only ever been to Maui, so we landed on the islands. Matthew really spearheaded and executed all the planning, the accommodations, the research — you name it, Matthew was on top of it! S: sitting down to a late dinner at Hualalai, enjoying incredible food and wine but most of all recounting all our favorite parts from the wedding weekend and all our future plans ahead. S: how long we were there! I could have done at least 2 more days.